Silly image of a child during a valentines day party in Austin, Texas. Wow — is Valentines Day such an exciting day in Kindergarten! I sincerely doubt they learned anything that day other than how to eat candy on the sly. But — we had such a great time at the party! 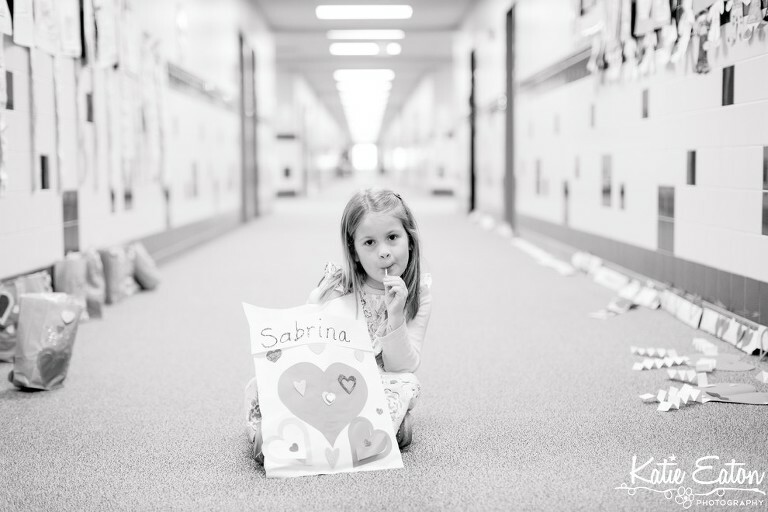 There were five tables of crafts and activities … and one table specifically designed to open up all of their Valentines and eat two pieces of candy. I was so happy that I managed to snap one picture of Sabrina that day … and isn’t it so fitting that she’s sucking on a lollipop??! The best part about her class? EVERYONE got her safe candy … so she was in heaven.